The best hair extensions should do two things – make you look good and make you feel amazing! But what are the best hair extensions? First of all, the best hair extensions should be natural. They should look, move and feel like your own hair. This isn’t as easy to achieve as it sounds but at NuTress Hair Extensions, we are total hair extension geeks! We have developed our own application, colour matching, colouring, styling and blending techniques, all with just one goal in mind – to make ours the best hair extensions. Colour – we hand blend loose hair to create a perfect colour match, guaranteed. You won’t find any factory made, pre bonded hair extensions in our salon! Blend – your own hair will become part of the finished result, you won’t be able to tell where your own hair ends and the extensions start. “Lids” are a total giveaway and never look good! Bespoke – clients’ needs are varied; our hair extensions are tailor made to suit each one perfectly. Choice – you can choose the type of hair you’d like, the application method, length, thickness, style. 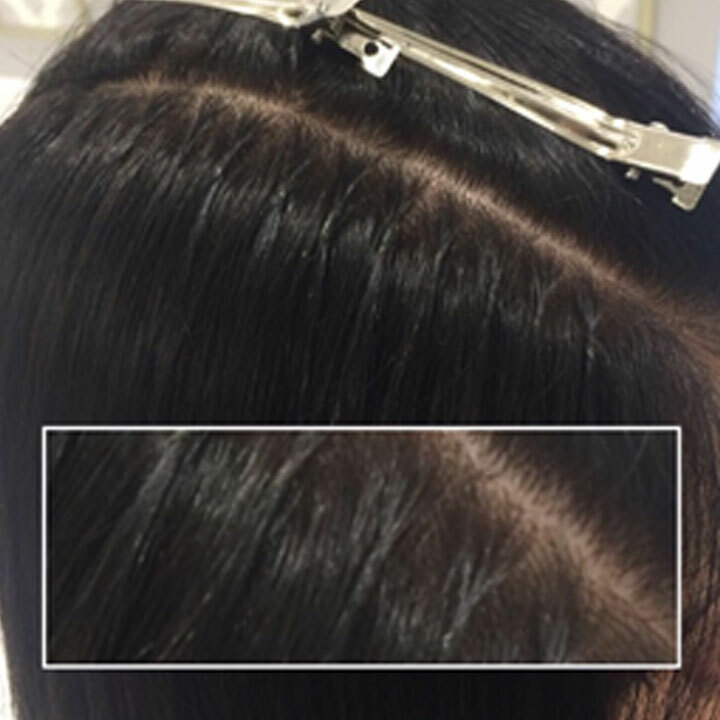 Discreet – because our extensions are tailor made, we can make tiny little bonds for around the hairline, crown and parting. You can’t see our bonds, even in the finest hair. Hair – we only use the very best quality hair, which we import ourselves. Cut and Style – your hair extensions will be cut, layered and finished to perfection! 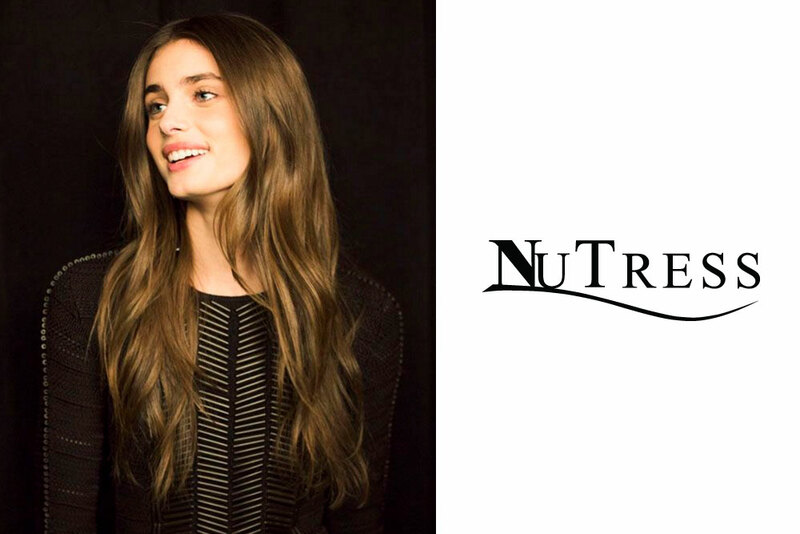 At NuTress we offer two of the safest, most established hair extension methods, micro bonds and micro rings. Our handmade micro bonds are excellent for clients with very fine hair, we can make them super small. Micro rings are 100% reusable and very popular as the cost of reapplications is much lower. 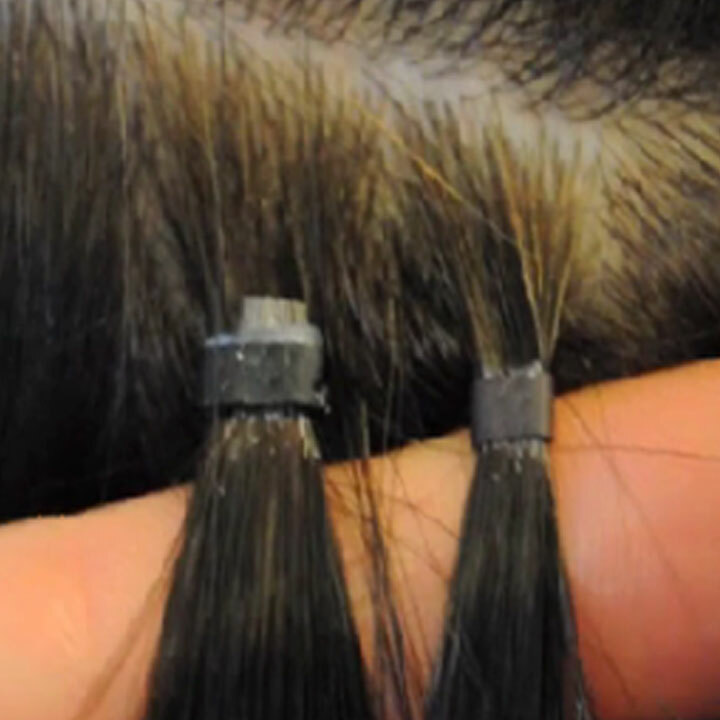 We use the smallest, most discreet micro rings available. You can choose which method you’d prefer or even have a mix of both! People wearing bad hair extensions didn’t Google “Worst hair extensions”! So, where did they go wrong? If you want the best hair extensions, do your research. Your hair extensions should be fitted by qualified hairdressers at a specialist hair extensions salon. Make sure you have a thorough consultation, ask about qualifications and experience, ask to see the hair available. Ask if they’ll fit a few hair extensions free of charge, so you can get a feel for them. NuTress is a specialist hair extensions salon which offers hair extension wearers a complete salon service including colour, style and finish. Please come and have a chat with us, let’s see what we can do for you and your hair. Call our City Centre Manchester salon on 0161 258 2015. What do you think makes hair extensions look good? Or bad? Please share your thoughts with us, we’re always looking for ways to improve our service and love to hear from you. Why specialist hair extensions for fine hair might be the answer to your prayers. Tape hair extensions – What we love about them and why we don’t use them. Click the map below to go to our Google maps profile and go to reviews.